Each child develops a little differently. Babies and toddlers of all ages can have feeding issues. I have boy/girl twins and they were nothing alike in their feeding developmental stages. One had a tongue thrust and the other had a weakness in his jaw which required additional support from Occupational Therapists, to help us improve his jaw strength. Eating requires so many different skills for kids- that we as adults just take for granted. A baby needs to be able to swallow food, chew, move their tongue from side to side and up and down, and have enough jaw strength to break up pieces or grind their food with or without teeth. A child can get hung up on anyone of these physiological challenges, which can cause issues with their eating (1). How Do I Know If My Baby Is Choking? Choking is when your baby’s airway is obstructed. Generally, your baby will not be able to make a sound because his or her airway is completely obstructed. If your child is still able to make a noise, they might have a partial obstruction, which is just as serious. Other signs of choking include but are not limited to: gasping for breath, turning blue around the lips and beneath the eyes and/or staring with an open mouth while drooling (1). Always watch your child while eating to help in the case of choking. 20 Super Simple Crock Pot Breakfast Ideas. Easy Recipes Perfect for Feeding a Crowd! Here are instructions on what to do if your child is choking. Is your Child Gagging or Throwing Up After Eating Foods? As adults, our gag reflex is all the way in the back of the throat. The gag reflex is there to help us stop food from blocking our airways. As babies, the gag reflex is much higher up in the mouth causing babies to gag often while learning to eat. As your baby gets older (around 9 months), their gag reflex moves further and further back in their mouth allowing the baby to move food around their mouth without activating it. It takes some kids a little longer to outgrow their gag reflex (2). Even though watching your child gag is scary for more parents, it is generally safe. Your child is figuring out where food should go in his or her mouth. This is an important part of learning to self-feed. Make sure your hide your emotions, as it is your job to maintain a relaxing mealtime atmosphere. Gagging is natural and a part of the learning experience. Babies can vomit after gagging. This is a built-in safety mechanism for your baby. Be careful your baby does not vomit very often after gagging as this can lead to food aversions. Below are some strategies to help your child reduce their gag reflex sensitivity. a licensed pediatric Occupational Therapist. Give your child a spoon to play with. The goal is for the child to put the spoon in his or her mouth and move it around. The more they can do this the more they should make their gag reflex less responsive. You can also try a carrot or a hard piece of beef jerky. The goal is NOT for him or her to take a bite and swallow the food, so watch your child at all times when doing these exercises. The goal is just to get your child comfortable with having something in his or her mouth to help reduce the sensitivity of his or her gag reflex. When I first introduced solid foods to my twins, my daughter’s tongue kept pushing out all her food. She looked like she wanted to eat the food, but her tongue just wasn’t letting her. All of her food would end up on her face instead. This reflux is called a tongue thrust. It’s really fascinating how babies have all of these natural reflexes to help protect a baby from choking at an early age from newborn to about six months (3). The tongue pushes everything out as a protective measure so babies don’t inadvertently eat something that can cause them to choke or that isn’t good for them to eat. This isn’t a guarantee your child won’t choke, but it’s nature’s way of trying to ensure the survival of the species. Fascinating isn’t it? Generally, infants outgrow this around four months, but some kids take a little longer to outgrow it (4). It took my daughter to about seven months and then she started eating like a champ. 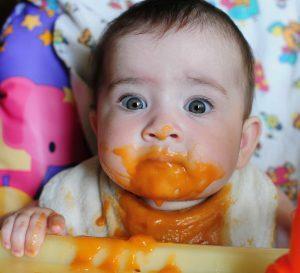 If your child has a tongue thrust, just keep trying to introduce solids every few days. Eventually, your child should outgrow it. If not, reach out to a Feeding Specialist for help. I Don’t Think He’s Swallowing His Food. He Looks Like a Chipmunk. My son had this. I started to notice my son would chipmunk his food in his cheek, especially meats and then spit everything out. I also noticed my son preferred dissolvable foods like pretzels, crackers, and puffs. I knew something was wrong and I mentioned it to my Pediatrician. My Pediatrician said as long as my son is on the growth curve then everything is fine. I knew something wasn’t right for months, but it wasn’t until he started to lose weight that the Pediatrician referred us to an Occupational Therapist (OT). Be your child’s advocate. Ask for an OT evaluation sooner rather than later. The Feeding Specialist can evaluate your child’s mouth for possible weaknesses in their jaw (like my son), cheeks, tongue, etc. There are countless moving parts that all have to work together perfectly for a child to eat well. When one or two of these are off, it makes it very challenging for a baby or child to eat. Please reach out and ask for an evaluation. Does your child seem to have issues with the texture of food? Check out the article dedicated to overcoming food textures for infants and toddlers. This is very common. Have You Ruled Out Reflex or a Potential Food Allergy Issue? Sometimes children could be uncomfortable and that is causing him or her not to eat. I learned about this from a Pediatric Gastroenterologist when we were learning about my son’s allergy. A child can try a food a few times and find it uncomfortable and then not want to do it again. It is important to rule out a medical reason for your child’s eating issue. 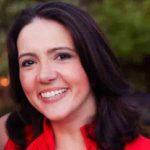 Check out our complimentary article about food allergies in children. Is Your Child Uninterested In Food? here can be so many different reasons for the disinterest. 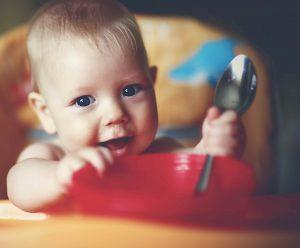 Your child might not be ready for solids yet, if that’s the case, just keep trying. Feeding your child can be hard! You are helping them develop habits that will last a lifetime. Overtime you are helping your child learn how to understand his or her physical cues for hunger and fullness. That’s why it’s so important to respect these early cues now. In cases like this, it’s good to understand a little more of what is happening. 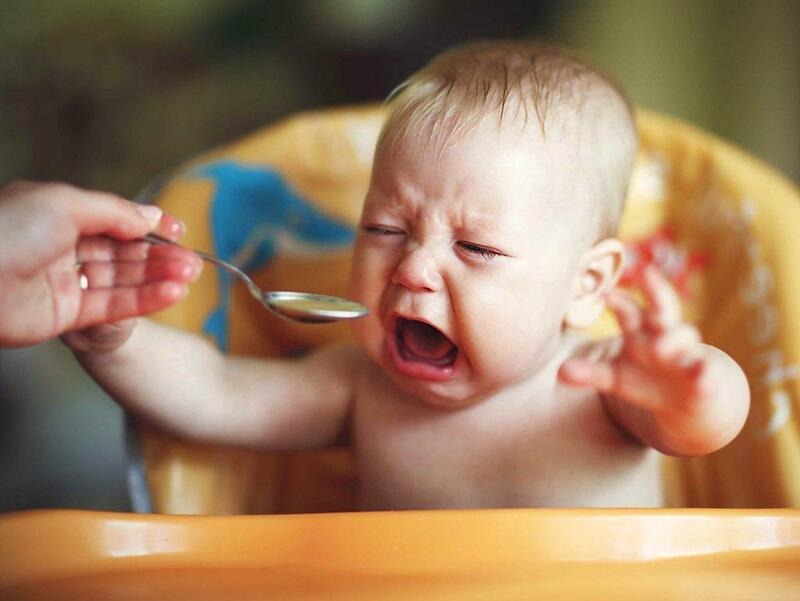 Some children don’t like to be fed, so have you tried to let your child feed himself (called baby-led weaning)? Your child might be too hungry or too full from their breast milk or formula. Keep track of when you are feeding him to see if you can change around the schedule a little bit. You may want to feed your baby solids about 1.5 hours after getting his or her breast milk or formula to see if your child shows more of an interest in food. Also, as you start to dig in and see what might be causing your child to show little interest in food, keep track of all of this and share this with your Pediatrician. Together you can figure out the right next steps to help your child. SPD is like a neurological “traffic jam” affecting many children and making eating a challenging task (2). Many children with any of these below diagnosis can have a challenging time with eating. Generally, feeding therapy is recommended with any of these diagnoses. Feeding challenges generally accompany any of these diagnoses: autistic spectrum disorders, attention deficit disorders (ADD and ADHD), anxiety disorders, emotional and behavioral disorders, sensory-based learning disorders, and other developmental issues. How did you overcome your child’s challenges? Share your story. Eating requires so many different skills for kids- that we as adults just take for granted. Find out of your child has feeding issues and how to help them. Next articleMy Baby Makes Funny Faces When He Eats. Does He Hate Everything I Feed Him?